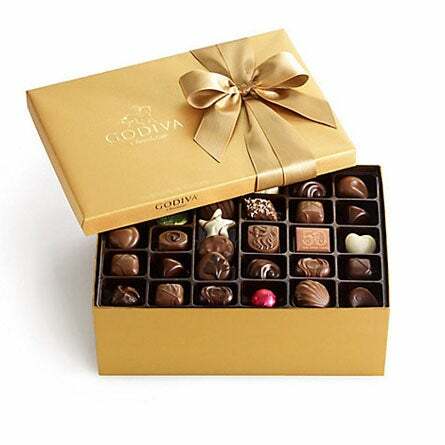 If you have a passion for great Belgian chocolate, then you undoubtedly know Godiva chocolates. 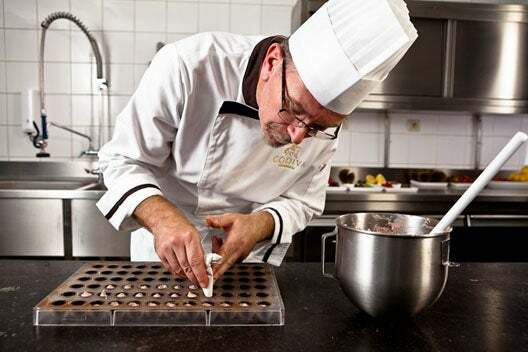 We got the chance to sit and chat with Thierry Muret, Godiva’s Executive Chef Chocolatier, to learn a little bit about the man who originally thought he would become an engineer and who, instead, made such exceptional confections that he was offered a job at Godiva simply because the CEO happened to taste his truffles. 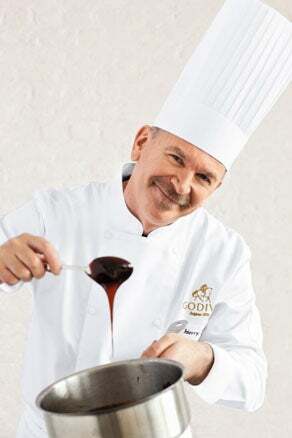 I’ve been working with the Godiva brand for almost 30 years and in all that time, every single day has felt unique. When I’m not traveling, my days start around 7:30, with a quick glance at my calendar to see if I have any obligations that might force me out of the kitchen. Then I get to work. Between 8:30am and 5:30pm, I can be found in the kitchen, working on any variety of things from truffles to hot cocoa flavors. Over the course of the day I eat at least 20 pieces of chocolate, tasting new creations, working on new recipes, and still, chocolate is my ultimate comfort food. On the weekend, I like to relax in my garden with a little 67 or 72 percent cocoa chocolate. I grew up in Antwerp, Belgium. I was a bright child, especially good at math and science. When I was in middle school, my professor suggested I attend a program that would allow me to finish high school and college at the same time. I graduated with a degree in chemistry and crystallography. I was just starting an engineering degree when my sister instead proposed that I move to the United States to start a Belgian chocolate shop with her. I didn’t know a thing about chocolate, so I found an apprenticeship program where I could learn everything I needed to know. I was determined to find the meanest, hardest teacher, and I got exactly what I asked for in the shape of Master Rene Gossens, who made me do endless amounts of scut work before letting me even touch chocolate. My first lesson was on how to correctly temper chocolate, after that, there was no stopping me. I finished my four-year apprenticeship in two, headed to Chicago, IL, and started a shop with my sister. A few years later, at the New York Fancy Food Show, a man stopped by our booth and ate truffle after truffle. When I offered to sell him some, he handed me his card and told me he wanted to talk. The very next day, the man, who happened to be the CEO of Godiva, offered me a job as a Master Chocolatier to lead candy development for North America. Forced to choose between dealing with the endless administrative hassles that come from running your own business and enjoying creative freedom, I chose freedom. Over the course of 30 years I moved my way up the ranks at Godiva, and I’m hoping to stay here until I retire! I think that my background in chemistry and science play a huge part in my understanding of ingredients and the complexity of chocolate. The wonderful thing about chocolate is how it allows for endless creativity; there is simply no end to the exploration of flavor profiles. I love developing new chocolate pieces, creating seasonal collections, and reimagining flavor combinations. When I’m creating interesting pairings, I always keep taste, aromatics, and texture in mind. Traveling for Godiva has given me the opportunity to experience cultures all over the world and to explore the different flavor expectations of different populations. It all serves to inspire me when I’m creating new chocolates. 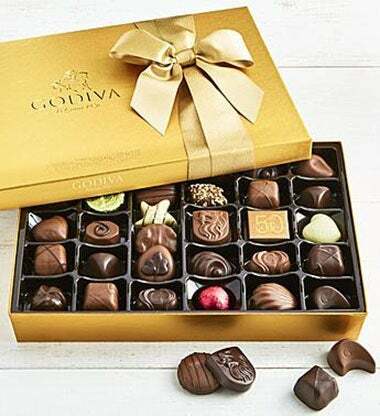 Godiva fan favorites include our Signature truffles, classic chocolates, caramels and handcrafted bark.